The Emoji Mini Mold will be adored by teens and kids because it features some of the most popular emoji face shapes! 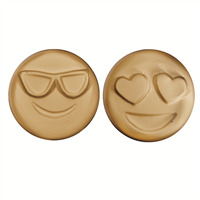 Including the smiling sunglass dude, the heart eye smiley and more, this mold can be used to make the best soapy embellishments! 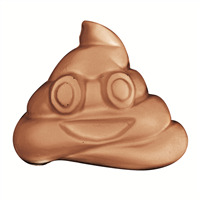 Emojis: 1.25" x 1.25" x 0.25"
COMMENTS: Great mold!!! Every mold I've purchased from Wholesale Supplies Plus I have been more than happy with!! Highly recommend these molds.